In these three volumes full of supplemental material, Dr. Randal Chase, a veteran Institute and Gospel Doctrine teacher, shares years of insights into the scriptures by exploring scriptural symbolism, background, culture, and chronology, as well as the words and teachings of gospel authorities. A companion to your study of the Old Testament, the Old Testament Study Guides from the Making Precious Things Plain Series are a rich resource for teachers, students, and gospel scholars alike. In these three volumes full of supplemental material, Dr. Randal Chase, a veteran Institute and Gospel Doctrine teacher, shares years of insights into the scriptures by exploring scriptural symbolism, background, culture, and chronology, as well as the words and teachings of gospel authorities. These unique study guides of the Old Testament provide new depth and understanding to the scriptures. Readers will enjoy Dr. Chase’s relaxed style and easy presentation as they gather information, clarification, and quotes that can be used for either private study or public speaking. These unique study guides will be a welcome addition to any library, and they will broaden your comprehension of the “First Testament of Jesus Christ.” The many beloved stories of the Old Testament come to life in understandable form as we read of Jehovah’s dealings with early mankind—from the creation through the many prophets and kings to the final words of Malachi. Dr. Chase has also released 3 volumes each on the Book of Mormon, Church History, and the New Testament. It begins with a discussion of the importance of studying the Old Testament, and the role of Jesus Christ in the Plan of Salvation and His selection as our Savior in the premortal council in heaven. We read concerning the process of creation, the placing of Adam and Eve in the Garden of Eden, and their fall into mortality. We learn briefly about Cain and Abel, followed by brief discussions of all the patriarchs from Adam to Abraham, Isaac, and Jacob. A must for every Gospel Doctrine, Seminary, or Institute teacher and student. 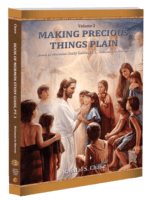 Making Precious Things Plain is a new series of gospel study guides for the four standard works of the Church. This volume is without question, the most helpful guide to Jeremiah available today. It unravels the chronological mess that was created when Jeremiah’s chapters were scattered, then recovered in confusing non-chronological order by scribes in ancient Israel. 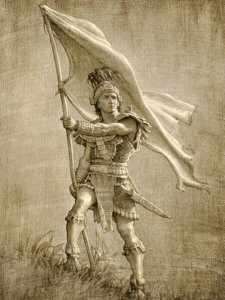 Book of Mormon Study Guides, Pts. 1-3. A companion to your study of the Book of Mormon, the Book of Mormon Study Guides from the Making Precious Things Plain Series are a rich resource for teachers, students, and gospel scholars alike. In these three volumes full of supplemental material, Dr. Randal Chase, a veteran Institute and Gospel Doctrine teacher, shares years of insights into the scriptures by exploring scriptural symbolism, background, culture, and chronology, as well as the words and teachings of gospel authorities. These unique study guides of the Book of Mormon provide new depth and understanding to the scriptures.